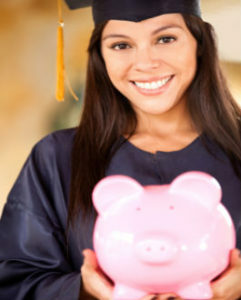 In most cases, my clients seek my help for student loan problems long after they left or graduated from college. Still, many clients seek legal help soon after leaving school; however, some of the consumers we help may seek legal assistance for loans from ten, twenty, or even thirty years ago. Although the majority of student loan claims will be raised defensively in response to collection actions, affirmative litigation may still be viable and useful in some cases. School-related claims may be brought affirmatively against the schools and in many cases against lenders that are affiliated with the schools. These claims not only include school-related claims against lenders but also legal claims, such as Truth in Lending Act (visit our TILA page for more information) violations, that may be brought directly against private student lenders. Many of our clients suffer creditor harassment (visit our creditor harassment/FDCPA page) by the debt collectors attempting to collect student loan debts. If you are having Student Loan Issues, e-mail us or give us a call at (716) 566-8988 to speak directly with consumer attorney Jason A. Shear. The New York consumer protection attorneys at the Law Offices of Jason A. Shear will be glad to talk with you.